What Is The Jupiter Triangle And How To Watch It? All astronomy hobbyists and professionals look forward to stargazing events, whether it be a full moon, meteor rain, or something else. The clear night sky is full of different star patterns and it takes time to explore them all. 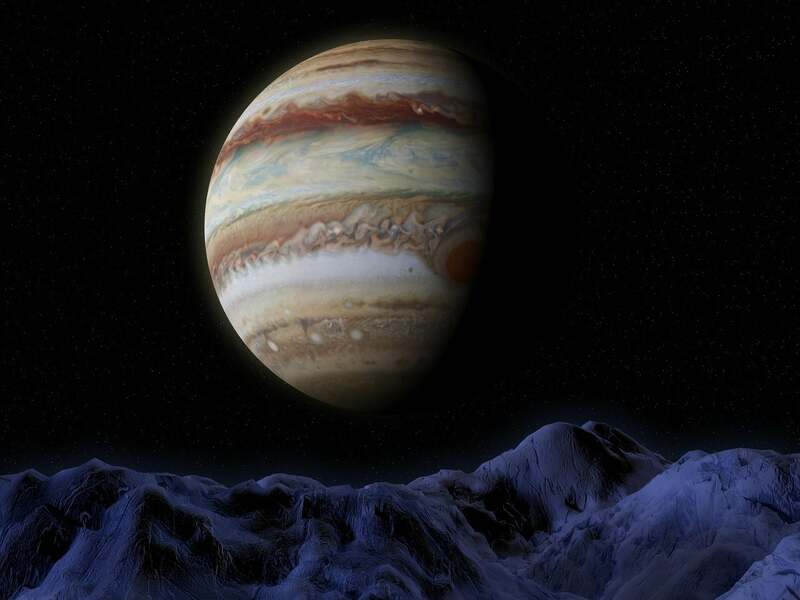 One of such events is the Jupiter Triangle that will be fully visible in the night sky throughout April, especially in light pollution-free areas. Before you embark on an adventure of finding and watching it, here’s what you need to know about this phenomenon. Approaching the summer, sky watchers will get to enjoy the Summer Triangle, one of the most famous celestial triangles that is composed of three bright stars in the night sky, and each of those stars comes from its own constellation. According to Space.com it forms a isosceles figure which consists of Vega in Lyra, the Lyre, Altair in Aquila, the Eagle. However, as we will approach mid-June, the Triangle will be visible as soon as darkness falls, unlike right now, when we have to wait until about 3 a.m. ET to spot it. Nevertheless, this year, stargazers will get to enjoy another celestial event known as the Jupiter Triangle, which is a brighter triangle configuration. However, it won’t last too long since one of the points that forms the Triangle is rather a planet than a star, that being Jupiter, that seems to be passing by in its orbit at an angle that we can see it from Earth. For example, in the following week, according to Space.com, sky watchers will be able to see it east-southeast at around 11 p.m. local time. The triangle will be formed from two bright stars Arcturus and Spica, and the gas-giant Jupiter. The triangle is called the Jupiter Triangle mainly because Jupiter is the brightest of the three points that form the Triangle. Sky watchers will be able to watch the Jupiter Triangle until the evenings of April 28 and April 29, when the full moon will form. The moon will pass across the lower part of the triangle. The moon will be located at the left side of the Spice star on April 28, while it will be situated to the upper right of Jupiter on April 29, as seen from Earth. In the fall, Jupiter will move to the east of Spica, stretching the brilliantly-shaped Triangle, which won’t be seen as convincingly anymore. Nevertheless, it can be seen again in 2030, when Jupiter passes that part of the orbit again and forms the Jupiter Triangle, once again.